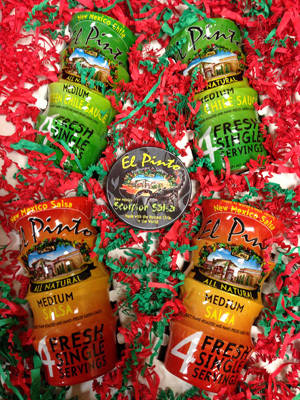 El Pinto Restaurant and Salsa Co. in Albuquerque, New Mexico announce the re-release of Scorpion Salsa for chile fanatics. As a worldwide first time release, El Pinto’s award winning limited edition Scorpion Salsa will be available in single serve salsa peel packs. Scorpion Salsa is brewed with the New Mexico Scorpion super hot chile pepper, grown in southern New Mexico, which tests consistently at over 1 million scoville units. The New Mexico Scorpion pepper was certified by the Chile Pepper Institute at New Mexico State University as one of the top four hottest peppers in the world. Scorpion Salsa will be put in convenient single serve 3-oz cups for the first time. For many, an entire jar of Scorpion Salsa is simply too much heat. Because all El Pinto products are made fresh and healthy, without using artificial preservatives, the single serve cups allow for economical use while minimizing waste. New manufacturing technology located at the El Pinto Restaurant Salsa Factory will enable El Pinto’s superhot Scorpion Salsa to be put in the single serving cups. The New Mexico Scorpion chile pepper has a sting rating of over a million Scoville Heat Units (SHU) and is not edible in its natural form. 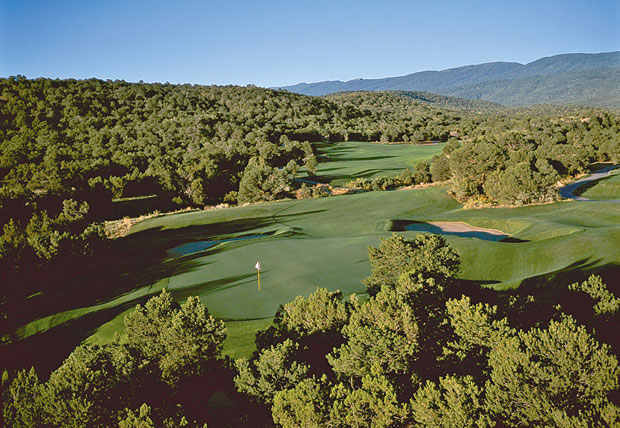 El Pinto has planted its own crop of New Mexico Scorpion and worked with grower Marlin Bensinger to grow this exclusive pepper. Scorpion Salsa is characterized by waves of intense heat that combine with a distinctive taste unlike anything else. “We created an edible superhot salsa that can easily sneak up on you. If the first bite doesn’t get you, the second will,” said Salsa Twin John Thomas. The one million scoville heat units (SHU) of the scorpion peppers were brought down to a little over 10,000 SHU for Scorpion Salsa, but the sting that will satisfy those who love intense yet edible heat remains. Starting Black Friday, the exclusive Scorpion Salsa single serve cup will be available while supplies last as a bonus cup within holiday gift packs comprised of 8 single servings of regular salsa and 8 servings of green chile sauce in a convenient ready to ship gift package. 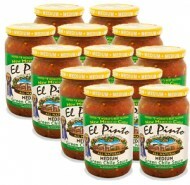 The 16-oz jars will be available in an El Pinto heat pack. Orders can be placed at www.elpinto.com starting on Black Friday. 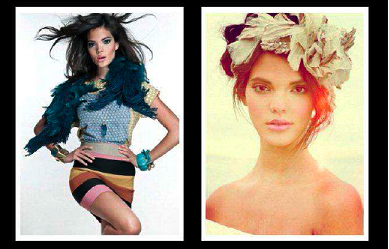 Free Tastings and Happy Hour from 4:30 p.m. to 7 p.m. Nov. 29th is open to the public. $2.00 off all Herradura Margaritas. The wide selection of premium tequilas at the tequila bar at El Pinto Restaurant in Albuquerque New Mexico is transformed again with the purchase of an entire barrel of specially crafted tequila made by Herradura for El Pinto. Connoisseurs will be astounded by the El Pinto Herradura Double Barrel Reposado, a specialty crafted tequila with a distinctly smooth oak and nutmeg finish distilled from American oak casks. Free tastings will be offered from 4:30 p.m. to 7 p.m. on November 29th in the tequila bar at El Pinto Restaurant. When visiting restaurants in Albuquerque, El Pinto Restaurant is a must stop as it was voted for 2012 as The Best New Mexican Restaurant by readers of Albuquerque The Magazine. When searching for a tequila bar in Albuquerque, El Pinto offers over 140 tequila options and now the exclusive Double Barrel Reposado.